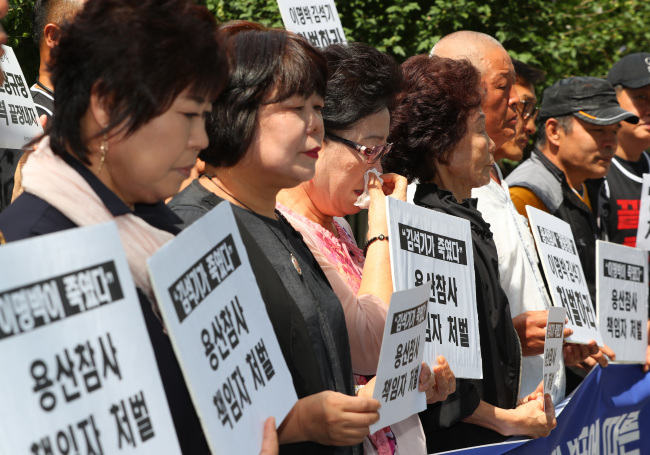 Police pressed ahead with breaking up a 2009 protest by dozens of angry shop tenants and activists in Yongsan that resulted in heavy casualties, even though they were aware of the high risks involved in the quelling, an internal inquiry team at the police agency said Wednesday. 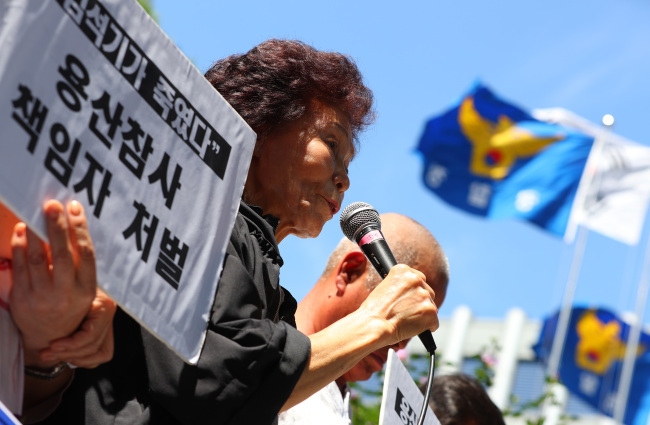 The committee released its outcome of the probe into human rights-related matters regarding the Yongsan crackdown of a civilian protest that killed five protesters and one police officer. In January 2009, dozens of renters occupied the rooftop of a five-story building in the central district to resist eviction by the city and giant developers that pushed for a redevelopment of the area. As they refused to back down, police commandos were mobilized to blast their lookout on the rooftop. The protesters hurled Molotov cocktails at them and poured paint thinner on the rooftop, setting it ablaze in an instant as they clashed with each other. The fire engulfed the building in a chaos that was broadcast live nationwide. Six were killed and dozens of others were injured. Prosecutors later charged over 30 protesters and several of them served time in prison until they were pardoned by President Moon Jae-in. In Wednesday's briefing, the inquiry team said the quelling operation was hastily approved and carried out by the police leadership. Citing a police document on the operation, police stated the risks associated with having a lot of flammable materials at the scene and of the possibility that the protesters may try to physically harm themselves. The document mentioned there was a need to set up some heavy equipment, such as two large cranes, shipping containers, air mattresses and chemical fire engines in case of an emergency. But in the actual operation, police had only one crane and pump fire trucks that were not equipped to handle chemical fires. They had no air mattresses at all. The commandos were also dispatched to the site without a proper run-through, the inquiry found. The head of the special forces had requested a rehearsal before the operation, but the leadership refused it, the document said. After police publicly came under fire for excessive use of force, the leadership sought to suppress the growing negative public sentiment by ordering hundreds of police officers in cyber teams to post comments on the Internet to defend their actions. The committee said police are responsible in their part for not actively engaging in negotiations with the protesters prior to the operation. They also lacked efforts in informing the victims' families of the need and procedures for an autopsy and subsequent results.